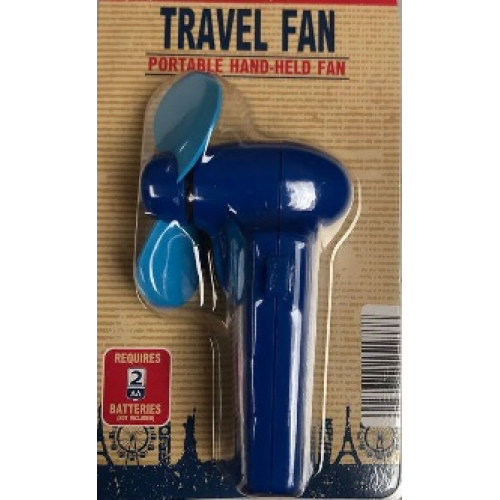 The Globetrek International Travel Fan is a battery operated, portable, hand-held fan. 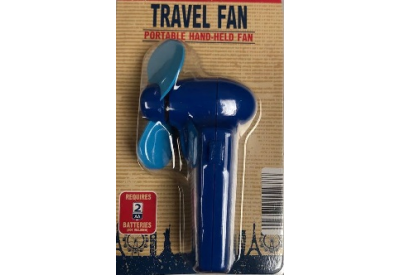 The handy fan has soft foam blades for safety and requires 2 x AA batteries (not included). The fans come in blue or red.